Gain transparency across entire AWS cloud technology stack and third-party services to rapidly deliver seamless, world-class fan experiences for Major League Baseball and other high-profile clients. Access to powerful out-of-the-box visualizations, helpful alerts, great ease of use, advanced drilldown functions, and a single source of truth across multiple environments. What if the action froze or buffered right there for the people around the world watching the streaming video? What if they couldn’t see whether the pitch turned into a game-ending out or a walk-off win? There’d be an awful lot of very unhappy baseball fans. Those are the stakes for MLBAM, the 16-year-old technology company of Major League Baseball dedicated to delivering world-class digital experiences across all forms of interactive media. Best known for developing the platform that lets fans watch Major League Baseball games on a wide variety of devices, it does much more for Major League Baseball and a variety of other high-profile media partners—all managed with help from New Relic across its entire technology stack. Born in 2000 to build and run all technology services for Major League Baseball (MLB) and its 30 teams, MLBAM live streams every MLB game among its 10 million live streams daily. MLB.com owned and operated properties drew an estimated 25 million daily visitors and the MLB.com At Bat app logged more than 6.9 billion total minutes used by fans, making it the top mobile sports app in 2015. MLBAM’s Statcast powered by Amazon Web Services, meanwhile, tracks advanced game and player analytics, which are made available to teams and fans. When the TV play-by-play announcer says a ball thrown from the shortstop to the first baseman traveled at 76 mph and hit the first baseman’s glove 37.4 milliseconds before the base runner got there, that’s MLBAM at work. And MLBAM goes far beyond baseball: it has dozens of sports, news and entertainment customers, to which it provides over-the-top streaming and app development. It’s difficult to be perfect at MLBAM’s scale and velocity, but experts credit the company with building a “gold standard” internet video infrastructure. Indeed, by leveraging its marketing-leading expertise in digital media distribution, MLBAM has become “one of the world’s top tech players,” according to CBS News. 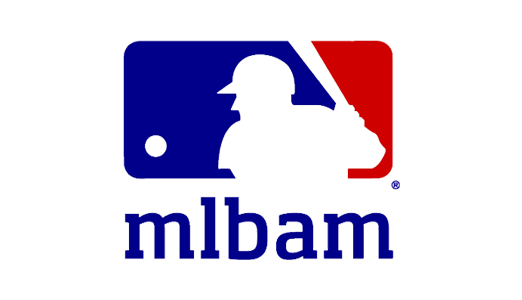 To achieve that status, MLBAM (insiders use the nickname “BAM”) has embraced a DevOps approach to application development and deployment, moved many of its services to the cloud via Amazon Web Services, and turned to New Relic for shared, end-to-end visibility into how its apps are performing and the customer experience it’s delivering. Unlike the latest fashion in ballpark design, there’s nothing manual about the performance scoreboards MLBAM built with New Relic. The company relies on a suite of New Relic products in both pre-deployment and production servers. New Relic Insights, meanwhile, helps MLBAM to more easily surface data from other New Relic products. And because mobile app performance is so often affected by factors beyond MLBAM’s own backend, the company is now getting started with New Relic Mobile to track performance of its many mobile apps, says MLBAM’s Mike Leonard. New Relic Synthetics also plays an increasing role for transactional synthetics monitoring, and MLBAM is currently considering generating its own custom metrics. Put it all together, and MLBAM now has access to automated cross-team views and metrics of how its applications are performing. New Relic is also integrated into MLBAM’s continuous delivery process, where it increases confidence in software deployments, and increases the frequency of new releases and updates. “New Relic empowers our developers to experiment and work fast without compromising on the quality of the MLB fan experience,” says Curtis. “We’re very fortunate to work with passionate folks who are true baseball fans,” concludes Krone. “They eat, live, and breathe our products. New Relic gives them the visibility they need to support their passion and build something fans will truly enjoy.” And to help make sure customers won’t be left in the dark during the most important moments of the big game. For more in-depth technical use cases on how MLBAM uses New Relic, click here.